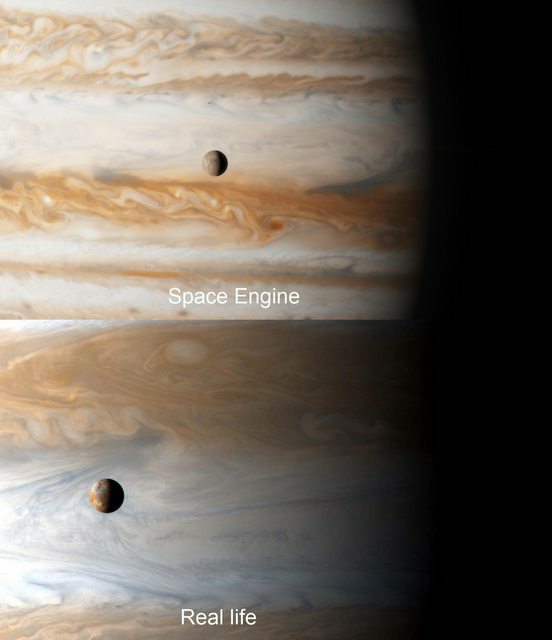 and It got me thinking about the realismness of Space engine. 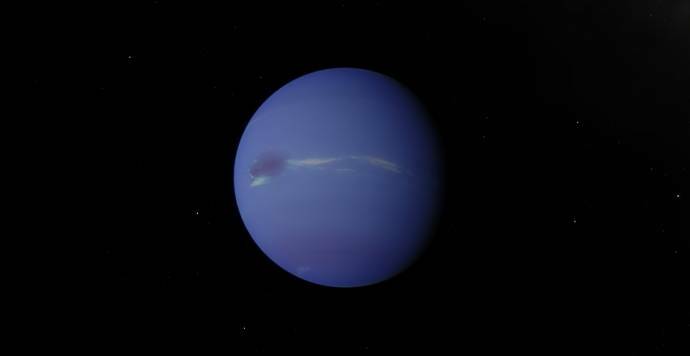 I recently came across a picture of Io and Jupiter and thought "I wonder what it looks like in Space Engine". So I took a screenshot and put it side by side. A year ago I made some other comparisons myself. 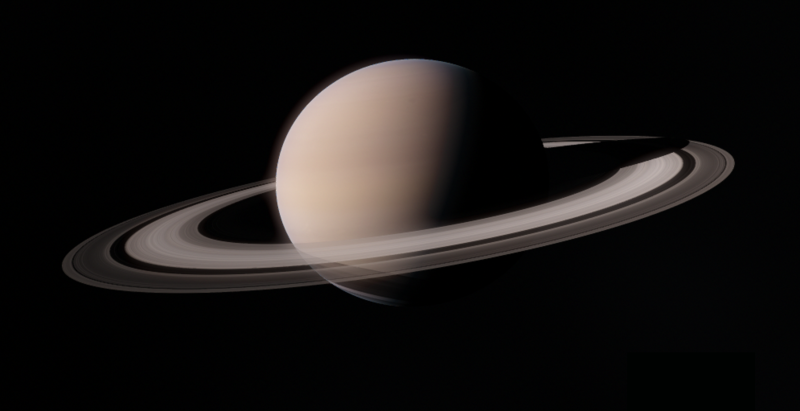 Left is SpaceEngine; right is the real photo. A yer ago I made some other comparitions. Left - SpaceEngine, right - real photo. 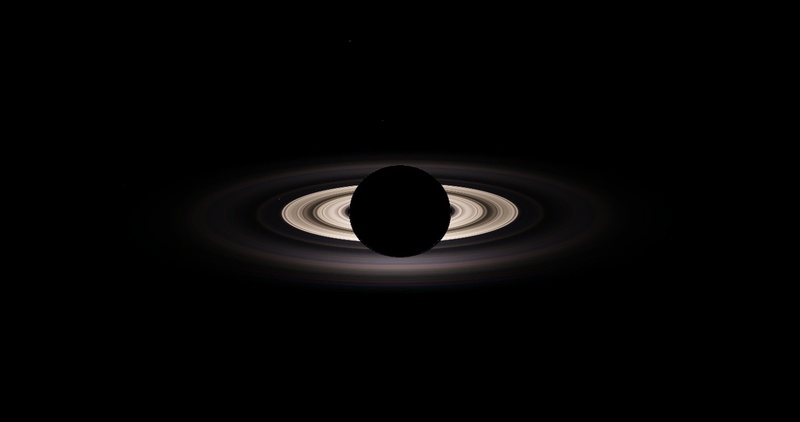 I have made a comparison between a Saturn Eclipse in reality and in SE. In both pictures is the little dot in the upper left side of the rings the earth. It is this page! The pages have been merged! Everything from here, was in the old thread. This is as close a place as I can find to post my thoughts after several months exploring SE, which I don't think deserve a new thread of their own. Most real estate in the universe is red or infrared in color. The vast majority of objects, especially in a habitable zone, are tidally locked. G-type stars are really not that conducive to life-bearing worlds, so our own may be a fluke or a rarity. Elliptical galaxies, perhaps being older, are more likely to have life-bearing worlds than spiral or irregular galaxies. "Warm" probably means instant death from boiling and "Cool" probably means instant death from freezing, except I suspect these are average temperatures, so one might find still a few habitable areas on worlds described as such. Subglacial (which I assume means what might be found under the ice of Europa for instance), Oceanas, and exotic Titan types seem to be more likely to create life than Terra types, even when the latter is in a habitable zone. If all these things are true, the universe is even more forbidding than I imagined, but not entirely hopeless. Of course i may be way off in my assumptions, not having taken measurements. This only based on how it feels when exploring. True. I have even tried making custom G-class stars with Procedural planets a few times, and I rarely got a life-bearing planet at all. 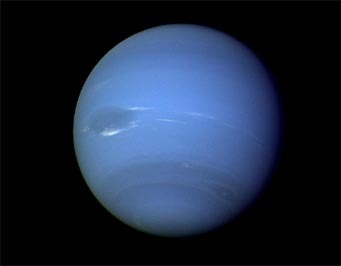 I guess that means that a star's class does not really define as to whether a planet has life or not. I even found a few melting planets orbiting a G class star before. Perhaps they were Frozen worlds or titans that had had entered the 'melting' zone of the star as the star inflated. I have edited a few things here and there to open up the topic of the thread. Reality is more realistic tho.